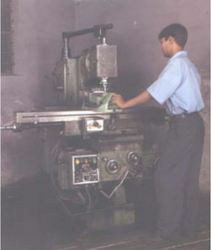 You are looking at HMT Milling Machine (Used). This is in 100% working and running condition. This Milling has been used for and only plastic mould purpose onlyi.e. die mould. It is located in Kolkata, India and please fell free to contact via phone or email.